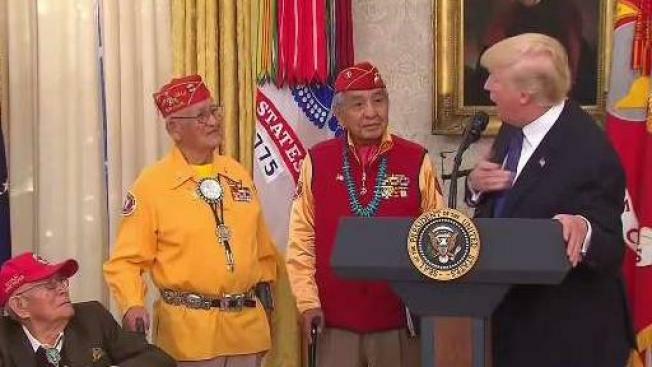 President Trump's reference to Sen. Elizabeth Warren as 'Pocahontas' during a White House ceremony honoring Navajo code talkers is drawing criticism once again. President Trump and Senator Elizabeth Warren have been at each other’s throats since the presidential campaign, with then-candidate Trump often referring to the Massachusetts senator as Pocahontas, for her claims that she is part Native American. That feud was reignited Monday at the White House when President Trump was honoring Navajo code talkers for their role in history. The jab was met with concern from Native American leaders who say tribal nations still deal with insensitive references. 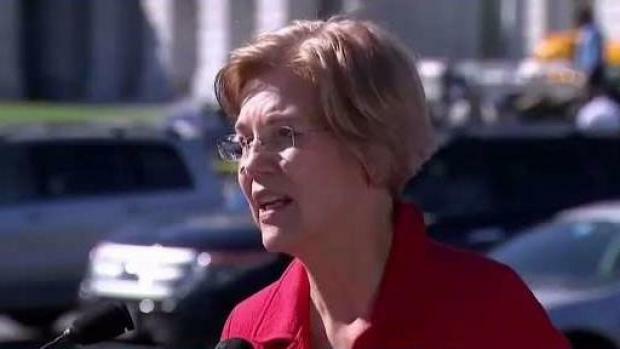 Senator Elizabeth Warren has responded after President Trump made a reference to her as Pocahontas during a White House ceremony honoring Navajo code talkers for their role in history. Native American leaders have also responded saying tribal nations still deal with insensitive references. “I think it is insulting,” said Claudia Fox Tree, a board member of the Massachusetts Center for Native American Awareness. She says the president’s remark is a form of harassment and bullying. “I think he really needs to stop using the word and using it in a derogatory way that offends indigenous people as well as non-indigenous people who know their history,” said Fox Tree. Elizabeth Warren also responded to the president’s comments. “It is deeply unfortunate that the President of the United States cannot even make it through a ceremony honoring these heroes without having to throw out a racial slur,” said the senator. A White House spokesperson said the president’s intent was not to use a racial slur.